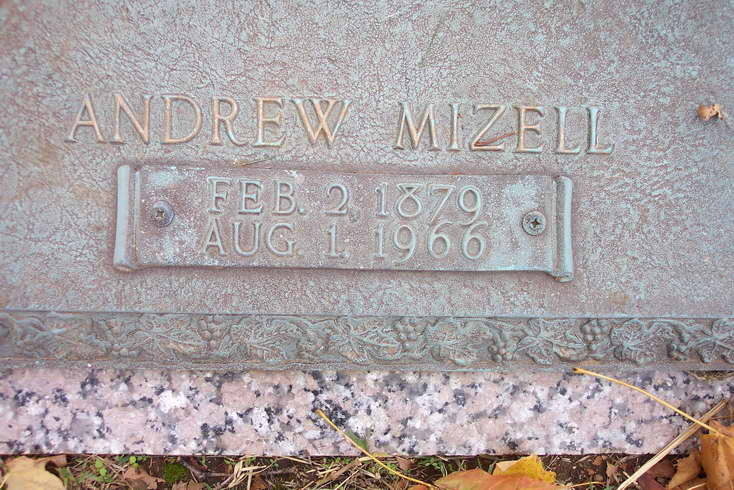 A. M. Burton "A Prince and a Great Man"
Andrew Mizell Burton was an extraordinary man from every point of view. He lived in a fabulous era of progress and development. He was a part of that era, and a factor in its marvels. His life was a fulfillment of the American dream that any boy can rise to the heights of success and achievement. 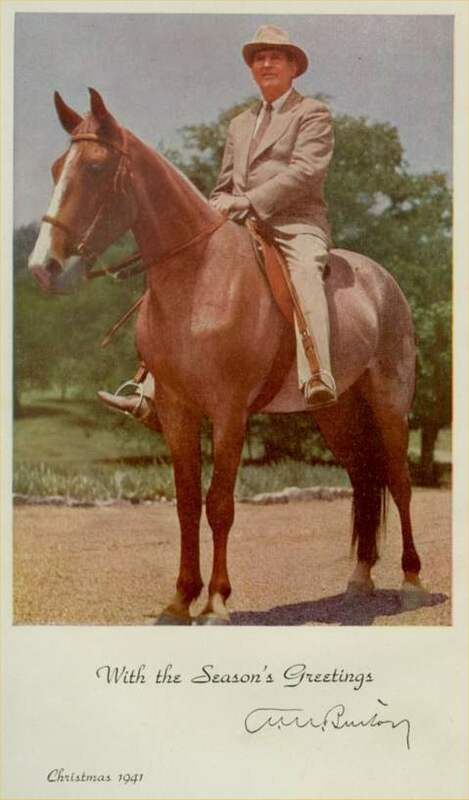 He was born in very modest circumstances and was reared on a farm in Trousdale County, Tennessee. His total formal education consisted of no more than twenty months of schooling. As a lad, he worked in the tobacco fields for fifty cents a day. He walked a cow to Nashville-a distance of forty miles from his home-to provide milk for a baby of a kinsman. In Nashville he secured work as a day laborer at the Tennessee Centennial grounds for a dollar a day. Even under these circumstances, he managed to save something of what he earned each day. He got a job selling insurance in Nashville, and his excellent native abilities soon brought him to the position of State Agent. When that company went out of business, he decided to form a company of his own. The very thought of a poor country boy without formal education founding and building an insurance company was amazing-and still is. He persuaded five others, including among them Mrs. Helena Johnson, to invest with him, and established the new company. In the years that followed, A. M. Burton achieved distinguished leadership in many fields of endeavor and became nationally and internationally known and appreciated. The business that he founded in 1903—the Life and Casualty Insurance Company of Tennessee—and over which he presided as president for forty-eight years is now one of the nation's largest and strongest insurance firms with nearly three billion dollars of insurance in force. He was baptized at the Highland Avenue church of Christ in Nashville in 1910 by Matthew C. Cayce. His growing interest in religion led him to make contributions to more than 1000 churches of Christ throughout the world, and he was instrumental in the establishment and development of Central church of Christ in downtown Nashville. With little education himself, he became the chief inspiration and support of David Lipscomb College and the Nashville Christian Institute and made personal contributions to numerous educational institutions throughout the nation and the world. His acts of benevolence included gifts to homes for orphans, for the aged, for the sick, and for, many other related services to troubled humanity. Vision—He possessed the ability to see farther and clearer than other men. At the turn of the century, he dreamed of building the Life and Casualty Insurance Company; and more than twenty-five years before the Life and Casualty Tower was erected he had a picture produced by an artist of what the building would look like. He kept this picture on his desk through all those years. His plan for Central church of Christ included the daily use of radio-a new and phenomenal means of communication at that time; and a church building open every day to serve the poor through providing clothing, shelter, and other help where needed. Through his leadership the church established a day home where working mothers could leave their children, a home for working girls who had come to Nashville as strangers in a large city, and a home for boys. 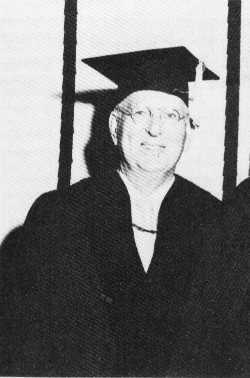 He dreamed of Lipscomb's becoming a senior college at a time when its assets were small and its enrollment in college a mere 200. His vision enabled him to see that the boys coming back from the war would need to go to school and there would not be enough schools to serve them. These dreams led to the establishment of the Lipscomb Expansion Program and the subsequent growth of Lipscomb to a fully developed senior college. These are only a few instances. He had many other dreams and plans which never reached the stage of fulfillment. He often outlined plans for a hospital and for special services of many kinds for the sick in body and mind, the crippled, the blind, and the unfortunate. He dreamed of a major vocational school that would enable poor boys to receive an education without cost by working half a day and going to school half a day. Concern for the poor—Unlike many men of wealth and power, A. M. Burton never lost the common touch. Throughout his life he was deeply concerned about the poor, the blind, the orphan, and the crippled. He had a special collection of the Scriptures translated into Braille and made available without cost to the blind. He often spoke of the fact that his success in business related back to the poor and underprivileged people who were the first to buy policies in the Life and Casualty Insurance Company. He had a genuine concern for the underprivileged, regardless of the reason for their poverty, and often was heard to say that high taxes were a blessing—a strange statement, in the eyes of many, for a man of great wealth. In this connection, he liked to quote Leviticus 25:10,11: "And ye shall hallow the fiftieth year, and proclaim liberty throughout the land unto all the inhabitants thereof: it shall be a jubilee unto you; and ye shall return every man unto his possession, and ye shall return every man unto his family. A jubilee shall that fiftieth year be unto you." It was his philosophy that modern tax policies are necessary to accomplish the same purpose as the Year of Jubilee. Optimism—While A. M. Burton had moments when he was discouraged and fearful, as does every man, his general spirit was optimistic. He believed in the adage, "It can be done," no matter what it is. When changes became necessary, he was quick to see and accept the new and the different, while retaining complete loyalty to the eternal principles of righteousness. Among the mottoes he often repeated was, "Nothing succeeds like success." No matter how vast or complicated the undertaking, he believed it could be done and proceeded to do it. Generosity—Perhaps A. M. Burton was best known for his generosity as a philanthropist. No one will ever know the total amount of money which he gave away. He gave David Lipscomb College more than any other Tennessean has ever given to anything. To him giving was a privilege and a joy. He gave away millions as easily and naturally as most men might hand a piece of change to a beggar in the street. The last gift he made was the establishment of a fund to be known as the A. M. Burton-Marshall Keeble Scholarship Fund to help underprivileged young people. It has been estimated that if he had kept all the wealth which came into his hands, he would have died one of the nation's wealthiest men with more than $100,000,000. Instead, he gave it all away and became richer still. His generosity was expressed in numerous little ways, as well as in the larger, more monumental gifts. He liked to fill his pockets with tiny rosebuds and hand them out to office workers and others whom he met along the way as he went by the College or at the Life and Casualty Insurance Company. After he retired, he began raising chickens. It gave him much pleasure to give friends who visited him from time to time a dozen eggs to take home with them. The last time Mrs. Pullias, Clay, Jr., and I went to see him, he had just come back from the hospital. When we rose to leave, he took Mrs. Pullias by the arm and led her out to a magnolia tree in the yard. With his own hands, he broke off a high hanging blossom and handed it to her with a smile. This was typical of his entire life. "I am ready to go. God has been good to me. I do not have an ache or pain. I look to the future without fear, or even anxiety." 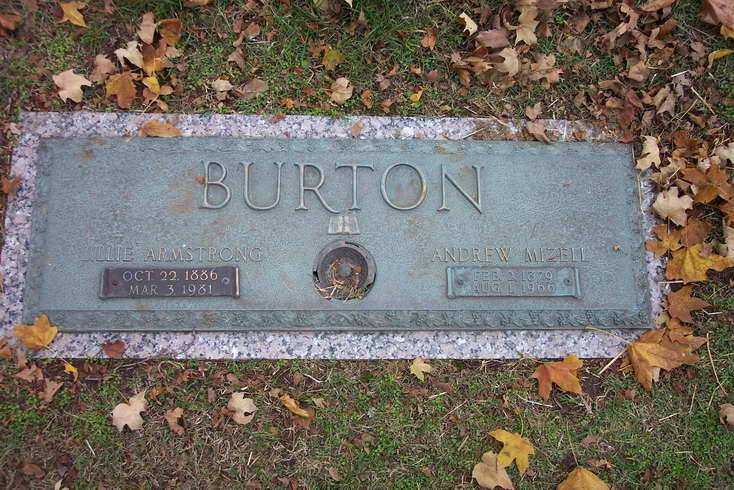 Since the death of A. M. Burton, many have mentioned that some monument should be prepared for him. This seems to me unnecessary. He built his own memorials, which will stand as monuments of good works in his honor, to the good of humanity, and to the glory of God through all the generations to come. When one approaches Nashville from any direction, the first building that comes into view is the Life and Casualty Tower—a monument in the business world to the memory of A. M. Burton. When one walks on the campus of David Lipscomb College all that he sees is a memorial to the memory of this man. With the exception of the home of David Lipscomb, which still stands, A. M. Burton had a vital part in the planning and construction of every major building on the campus. The Lipscomb of today is for him a dream come true. In downtown Nashville Central church of Christ is a memorial to him. The Nashville Christian Institute is another monument in his honor, and lesser ones exist all over the land and in distant lands in the form of the good which he did. Chairman Harry R. Leathers of the Lipscomb Board of Directors paid this touching tribute to him: "In the passing of A. M. Burton the cause of Christ has lost a great leader—great, by the Bible definition—'But he that is greatest among you shall be your servant.' During his long and useful life he did much to relieve the poor, support Christian education, and advance the kingdom of God throughout the world. I count it a joy and a blessing to have served with him for more than twenty-five years on the Lipscomb Board of Directors. His faith, vision, and humility were exceeded only by his liberality in giving to righteous causes. Only eternity can measure his influence for good." One of his business associates said just before his funeral service, "When I think of what would not have been without A. M. Burton, I realize the debt owed to him by so many for so long." The man who is now president of the Life and Casualty Insurance Company, Guilford Dudley, Jr., expressed well what so many feel as they think of A. M. Burton's life: "A. M. Burton has 'gone away.' Somehow or other even though I was well aware that he was 87 years old on his last birthday, February 2, I always thought he would outlive us all. Somehow I think I was right and though I was a pallbearer at his funeral, I still think he will outlive us all . . . . Yes, I think he will outlive us all, for he was a truly great man, and his good works will live after him." In trying to understand his full stature as a man, I would paraphrase the words used to describe the incomparable Winston Churchill, "The oldest among us has never seen his equal and the youngest among us will never live to see such a man again." On behalf of a vast host of people who will always appreciate the life and work of A. M. Burton, our prayers and best wishes reach out to Mrs. Burton, who shared with him an abundant life for more than sixty years, and to every member of the family in the loss of one so dear to so many. -Athens Clay Pullias, Gospel Advocate, Vol. CVIII, No. 43, October 27, 1966 - pages 673,679,680 - This Tribute Article First Appeared On The Front Page Shortly After The Death Of Burton. The burial of Mrs. Lillie Mae Armstrong Burton on Friday, March 6, 1981, was the ending of an era. She was 94 years of age and is survived by four children, nineteen grandchildren, thirty-nine great-grandchildren and thirteen great-greatgrandchildren. She was the mother of seven children. She died at Nashville's Parkview Hospital on Tuesday, March 3, at 11 :00 p.m. Her husband, the late A. M. Burton, was one of the five founders of the Life & Casualty Insurance Company. Brother and Sister Burton made gifts estimated at more than twenty million dollars during their lifetime. 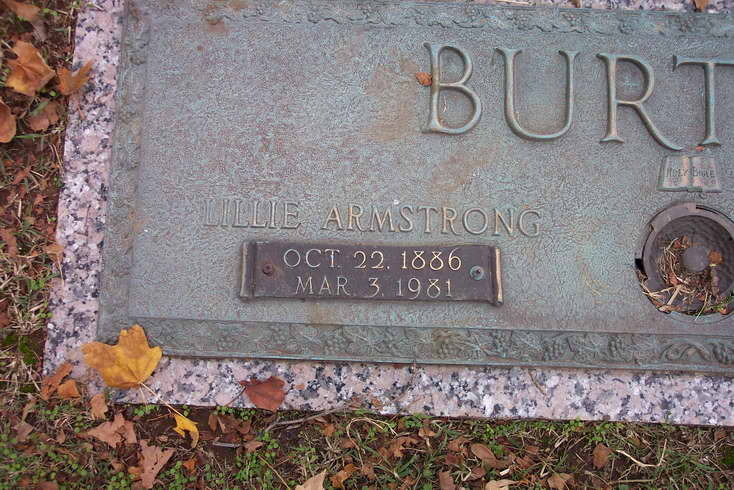 A. M. Burton was not a member of the church when he married Lillie Armstrong. Batsell Barrett Baxter spoke during Sister Burton's funeral service and related how she had told him of Brother Burton's conversion. After their marriage, he was not interested in church or attending with her. Sister Burton said, "I just kept asking about the church, and finally my grocery man told me where it was." In describing the conversion of her husband, Baxter recalled during this service how instrumental Sister Burton was. She said he was baptized by C. M. Pullias who had been his boyhood friend when they were growing up near Hartsville, Tennessee. Baxter recalled the following quote from Sister Burton: "I had never been able to get my husband to go to church with me. One Sunday they announced that C. M. Pullias would be preaching in a series of meetings. I went 'home and told my husband that his boyhood friend was going to preach, and he said that he was certainly going to go and hear him preach! He did, and on about the third night he was baptized. It wasn't long before he went to work for the Lord with the same intensity he worked at everything else." Think of the influence of this good woman who helped lead her husband to Christ and think how many lives the two of them influenced! David Lipscomb College was one of the main recipients of their wealth. The Burtons' help kept Lipscomb alive during many crises. The Burtons gave their home and farm to the college so that Lipscomb might receive benefits for all the years to come. The farm was in Sister Burton's name, and she and Brother Burton wanted it to be used for the advancement of Christian education at David Lipscomb College. Sister Burton loved Lipscomb. She loved young people. She believed that the Christian training of young people would really help determine the future of the church. The Burtons loved the Lord's church. They were instrumental in beginning Central Church of Christ in Nashville in 1925. They worked at Highland Avenue first. After the death of Brother Burton, Sister Burton worked with the Hillsboro congregation. They gave millions of dollars to advance the kingdom of God because they loved the Lord and his church. The Burtons helped support Marshall Keeble for many years. They began the Nashville Christian Institute where Brother Keeble served as president. In this way many black preachers were trained, and the Burtons' support of Keeble led to the conversion of thousands. Sister Burton loved Lakeshore Home for the Aged in Nashville. She was a member of the Board there, and was very liberal in her support of this work. A. M. Burton came to Nashville at the age of eighteen armed with only twenty months of formal education in Trousdale County schools. He went from a day laborer to a leading insurance executive- having founded Life & Casualty in 1903. Sister Burton was a native of Obion County and the daughter of the late John and Amanda Butler Armstrong. She was married to A. M. Burton in 1904, he died in 1966. 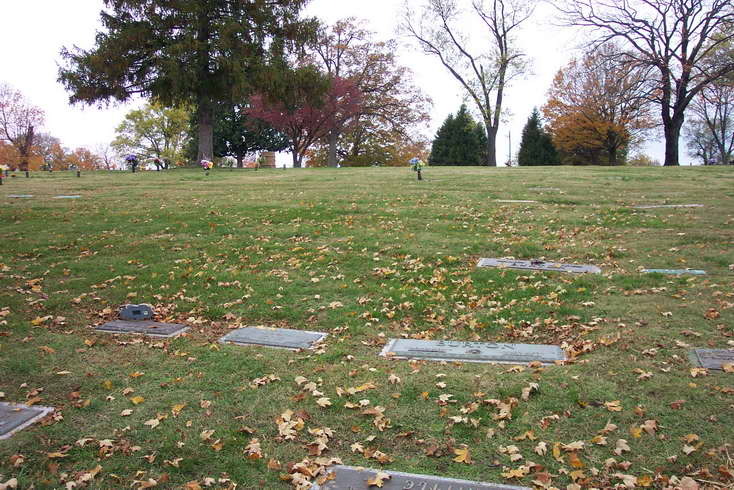 Woodlawn Cemetery, Nashville, Tennessee, is located behind the 100 Oaks Shopping Center that faces I-65 just south of the I-440 Interchange. From 100 Oaks travel east on Thompson Lane and turn right at the first entrance to Woodlawn's South Side Park (across from main part of cemetery). Take the first left and road will bear around to the right. Stop the car around the trashcan and look to your left. About mid-section of Lakeview is a tree. Go just about to the tree and look to the left. GPS: N 36° 06' 49.4" x WO 86° 45' 35.6"
A.M. Burton Plot In Foreground, A.G. Freed up the hill and to the left. Mack Wayne Craig the other side of the tree. At the top of the hill and across the drive are the graves of the Wards, Hales, Brewers, Goodpasture & Boyce families.